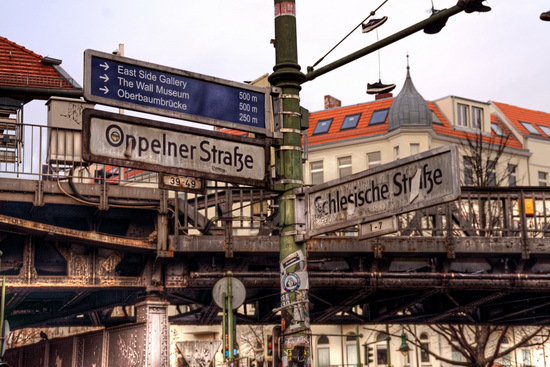 The way to the Spree and the East Side Gallery is well signed out! 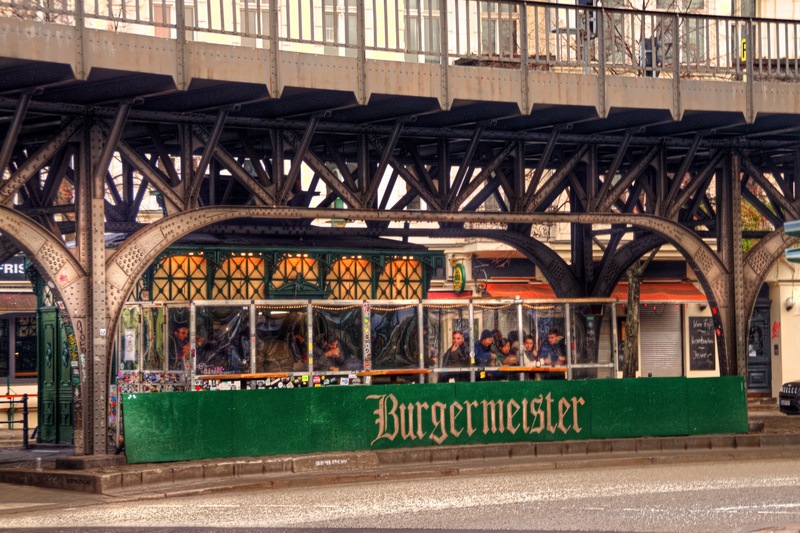 Of course no visit to the Spree can be complete without a look at the famous Burgermeister! One last look back at Berlin’s Oberbaumbrücke. The bend of the U-Bahn near Berlin’s Oberbaumbrücke. 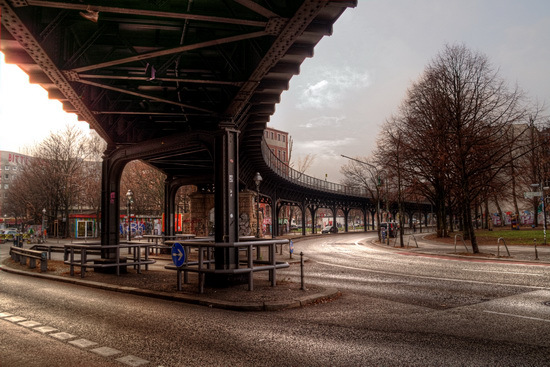 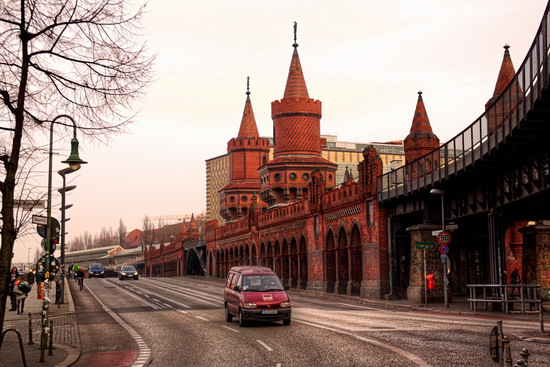 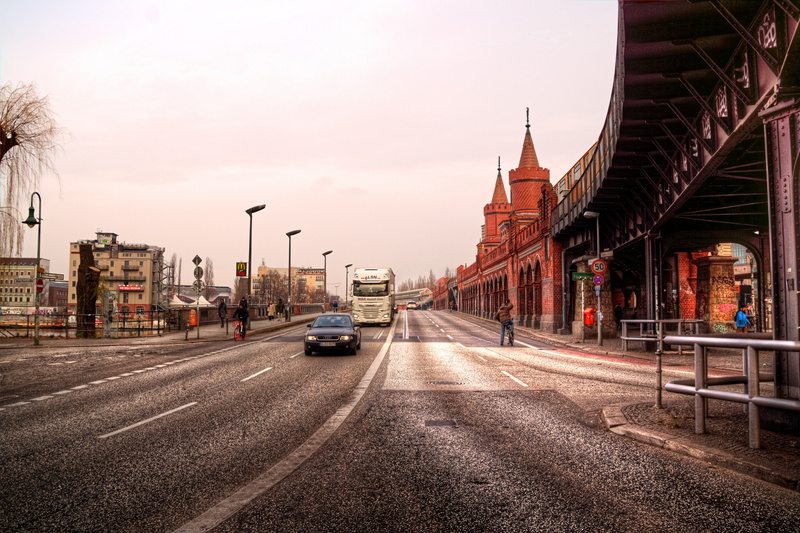 A car driver’s view of Berlin’s Oberbaumbrücke. 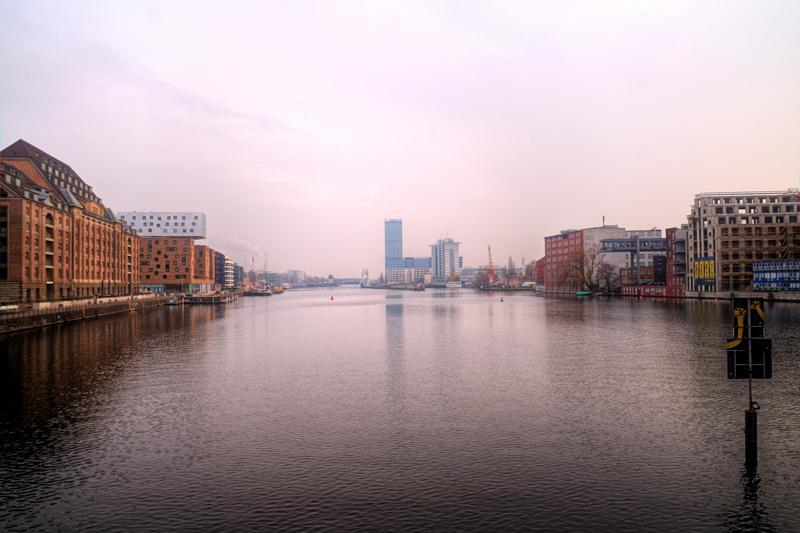 Looking back towards the West of the Spree… the spire of the tv tower was actually partly hidden by the clouds! 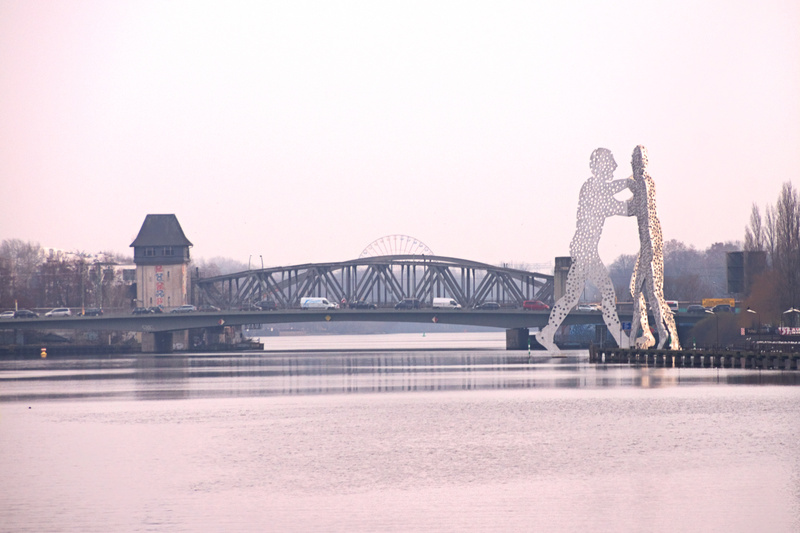 The view East along the Spree is always fascinating with the huge statue in the background! 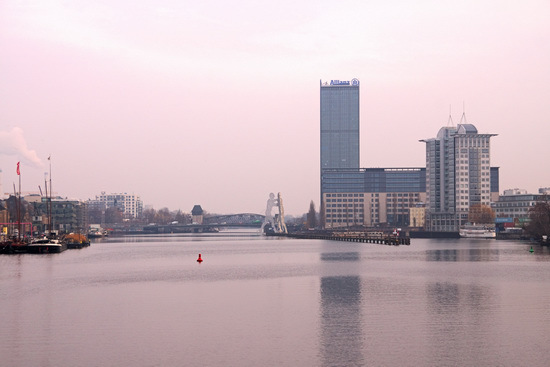 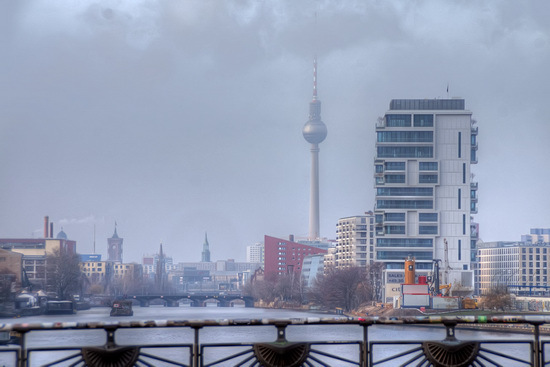 A hazy view along the Spree last December. 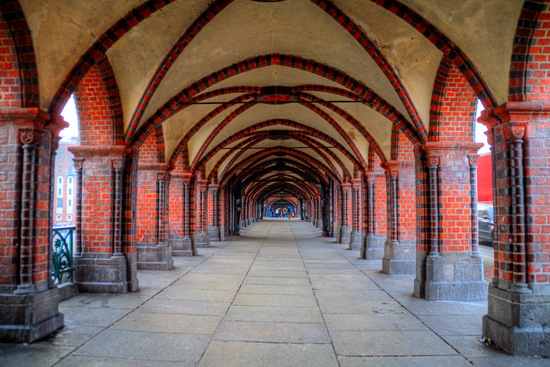 The arches of Berlin’s Oberbaumbrücke – a much better shot than the one I got in 2017! Of course I had to try and get a new shot of the Elsenbrücke and the huge Molecule Man statue in December!